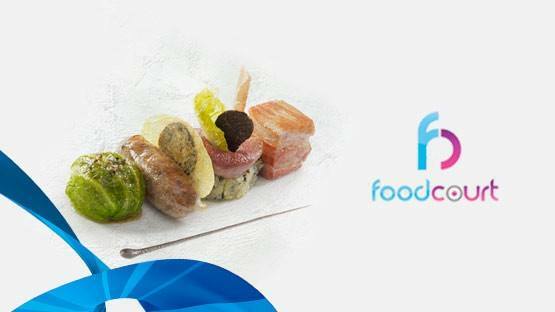 Telenor introduces an amazing Telenor Food Court service for its valued customers of Pakistan. This facility is available all Djuice and Talkshawk subscribers of Telenor and they can easily avail this facility at any time in a day without an issue. It gives a platform for getting details of hot& latest deals of any restaurant, hot recipes, Health and Fitness and gets the details of hotel and restaurant. This is such a phenomenal facility has launched from this telecommunication for its consumers. Now you can get complete details of food recipes within second into yours mobile number by using this service. As we all know there are many people want to get taste different meals of various restaurant and they also want complete information and hot menu deals details so now you can easily get all these information into your Telenor number by using service. The details are mentioned as that which kinds of facilities this service is providing for its customers. Customers can activate this offer through SMS just need to type message “SUB” and send into 7046. Subscriber also receive confirmation message after activation this feature. Telenor Food Court provides service for getting details of hot and latest restaurant deals. Now all subscribers of Telenor can easily get information what new meal in restaurant in Pakistan after activation this offer. It provides complete meal menu details of its subscribers with other information. It provides an option for getting health and fitness tips by using this offer. This is such a reliable facility for all those people who have concern about his/her health and fitness. Now you just need to activate this feature and avail this service in affordable rates. It also providing for getting information from health and fitness expert people by using it. This service is included food recipes option for its subscribers. Now you need any food recipes Desi, Pakistani, Chinese, Continental, Italian and any other recipes so you just need to activate this offer and get all food recipes in different language within seconds. It is giving a platform for getting address of your favorite restaurant by using this offer. If you want to go any restaurant for enjoying your special day and need an address. So just need to activate this feature and search complete restaurant details in your cellular phone number. The charges of this service are RS 5 plus tax. Customers can DE-activate this feature via SMS just need to write message “Unsub” and send into 7046. Right now this feature is covering four cities of Pakistan (Karachi, Lahore, Islamabad and Rawalpindi. This facility is only available for Telenor users. This telecommunication keeps authority for DE-activating this feature any time without being informed of its users. There are no hidden and further charges of this offer. This service is included digital service of this network. You may also like it: Telenor Smart Tunes.